Upon arriving at Trinity one is taken by the natural beauty and the integration of the architecture and the peaceful surroundings. Everything on the property seems to flow into a creational design where one discovers something of the sacred that leads one into prayer and centeredness. Trinity is a congregation of history, life, and rebirth. The ancient and the new, the familiar and the sacred, the love of Christ all in one place. You are welcome here. Explore Trinity on our website...and then come visit us. We are here every Sunday! Trinity welcomes you with open arms. We hope you will feel at home and embraced by God. Our pastor and priest, The Rev. Richard L. Vinson, is happy to meet and discuss any questions you may have. This is an active community that encourages all to reflect the loving grace and gifts of God and applying our many and varied talents and gifts in the opportunities for ministry. Trinity is a faith community connected by a common desire to find a deeper and meaningful relationship with God, with each other, and in the world. We want you to feel comfortable with us and we hope this information will be helpful to you. Perhaps you are Episcopalian or maybe Catholic, Presbyterian, Quaker, Lutheran or any denomination - maybe even a different faith altogether. Whatever your tradition, there is a home for you at Trinity. You don’t need to know the liturgy: the leaflet handed to you outlines the service, referencing The Book of Common Prayer and hymnal found in each pew. The Holy Eucharist is central to our worship services. All are welcome to receive communion. If you prefer to receive just the wafer or wine, that is fine too. Alternatively, you may choose to receive a blessing by the priest or just remain in your pew. Children are welcome to attend worship services with parents or caregivers. Please feel free to walk restless children at the rear of the church or take them out of the service. The service is audible in the hallway and there is a comfortable chair along with some toys. Church school and nursery care are offered at the 9:30 AM service. Nursery care is available for babies and children up to age 4. Church School is available for preschool through 8th grade. Children return to the service joining their parents (or caregivers) at The Passing of the Peace. Coffee and refreshments follow the 9:30 AM service in McArthur Hall. We invite you to stay and enjoy conversation with us to answer your questions and help you find your way around. If you wish to know more about Trinity Church or to be included on our mailing list or join as a member, please fill out a Pew Card and give it to an usher or greeter. For questions about baptisms, weddings, counseling or any other pastoral need, please speak with our Rector, Rick Vinson (or any clergy) after the service - or complete a Pew Card, or call the church office at 215-297-5135. Feel free to worship with us, explore Trinity, ask questions, and spend as much time with us as you like. My fiancé and I joined Trinity last summer. At our very first service, I felt like we were welcomed by a group of old friends, rather than a room full of strangers. The after service breakfasts as well as the annual newcomers party have allowed us to truly get to know members of the parish. When it came to planning our wedding, we couldn’t think of anywhere we’d rather begin our new life together than Trinity. Serenity, balance and comfort are some of the feelings that I experience when I walk into Trinity. While only a member for a few months, I feel a warm welcome from those around me each Sunday. I consider the sermons as conversational … helping members to more deeply understand the connections between the Bible and contemporary life … all of this delivered in a very uplifting and heartfelt manner. I have shared my experience at Trinity with many of my neighbors here in Lambertville and would encourage anyone seeking a source of light in their lives to visit on a Sunday morning! Trinity Church Solebury from day one has been incredibly welcoming to us - both the clergy and the parishioners. We wanted to find a church we could grow with - that is what we found! In 2014, we celebrated our marriage, and this year (2019), we celebrated our daughter, Josie's, baptism. Father Rick has really connected us with and supported us in our journey. We look forward to having a long relationship with Trinity! One of the first things I looked for, after moving here from NYC three years ago, was a new church. My concerns included the physical structure, but more importantly, the character and beliefs of the parishioners and clergy. As to the structure, compared to the monolith on Fifth Ave. that I left behind, Trinity Solebury is a "country church nestled in the woods." On the more important factors, I found a community of people who worship regularly and sincerely, who care about the needs of the less fortunate, and who care about each other. And as important, there is a collective ethos of inclusion. As Reverend Rick said, "All are welcome." We invite you to experience something of the "Trinity Spirit" that both defines and nourishes us. You will find here a community of faith that is very special. A parish of the historic Diocese of Pennsylvania, we treasure the Episcopal tradition while also deeply rooted in the Quaker tradition of the region. This makes for a strong and serious faith expression that is open minded and accepting of diversity. Our hope and prayer is that you will experience a sense of belonging, of unity with others and with God. Come discover Trinity. You will be glad you did! Trinity maintains a theology of the "Open Table." All who wish are WELCOME to join in worship AND communion at this Altar. You do not have to be a member of Trinity Church, nor of the Episcopal Church to receive. ALL ARE WELCOME! Join us on Sundays at 8 AM for the Rite II Eucharist Service. This service does not include hymns. An usher will provide you with a bulletin for the order of service. This is the Rite II Choral Eucharist. An usher will provide you with a bulletin for the order of service. All are welcome to come to the altar rail to receive communion or a blessing. After the service, everyone is invited for coffee and conversation in McArthur Hall. Healing Prayers every first Sunday during the Eucharist. This is Morning Prayer from The Book of Common Prayer. An usher will provide you with a bulletin for the order of service. After the service, everyone is invited for coffee and conversation in McArthur Hall. There is Church School for grades PreK-8th grade with safe play in the nursery for our youngest children. Parents can drop their children at the front of the Day School entrance where they will be greeted by a Church School teacher. Children return to parents or caregiver during the service after the Passing of the Peace. To enrich and deepen our spirituality, and to foster a better understanding of our Christian faith, Trinity offers adult education forums on diverse topics relevant to our faith community. Meetings are usually held at 11 AM on Sundays. Speakers come from a varied background, sometimes from within our community, and sometimes from outside. Click here for a list of upcoming topics. Trinity's main worship space is a modern interpretation of a classic English country gothic church. While keeping its gothic roots, the soaring interior space and lightness of design enhance the worship experience compared to heaviness often found in traditional gothic worship spaces. Many of the interior accessories are hand made by Trinity members and local artisans. Especially notable is the Nakashima Altar. Click here for a brochure detailing the interior appointments. Trinity's outreach efforts seek to demonstrate care for all people throughout God's world, utilizing our principal parish resources: time, talent, and treasure. Everyone is encouraged to participate in its activities. We are all called to Christ's ministry of offering God's love to each other - both by asking for love and support during times of adversity, and by offering our gifts to nurture those in their time of need, we together heal and become whole in Christ. The 'Trinity Cares' team is a group of volunteers that coordinates and facilitates congregational needs in collaboration with Trinity's clergy. As a people of God, Trinity offers prayers for those of the church, the community, and the world who are in need. Click here for more information, or to make a prayer list request. Trinity Church Solebury, Trinity Church Buckingham, and St. Philips Episcopal Church in New Hope collaborate to host dinners and entertainment for people in our community impacted by HIV/AIDS on the first Sunday of the month, beginning at 3 PM at Trinity Buckingham Church. We provide not only a meal but also loving, non-judgmental fellowship. The Trinity Youth Group's annual trip to Philadelphia in which they work for a week and transform an abandoned lot into a garden or playground with the help of local residents and members of St. Thomas African Episcopal Church in Philadelphia. Music plays a vital role in the life and ministry of Trinity Episcopal Church. It is essential to our vibrant participation in the liturgy and it gives solemnity, beauty, joy, and enthusiasm to our worship life. It sets the tone for particular celebrations. It can touch us in a way that cannot be put into words. The Music Program of Trinity Church is open to all people regardless of religious background or faith practice. For more information on the choirs, please contact Timothy Harrell, organist/choirmaster at 215-297-5135. Concert Series: The world’s great music speaks to us through dedicated musicians who, through their tireless performances, reach the depth of our souls. We invite you to experience world class musicians at Trinity: the “happening place” in Bucks County for classical musical performance. Our season features organ, instrumental, and choral music with a total of 16 concerts. For complete information about our upcoming concerts, please click here. The mission of Trinity Church’s Friends of Music is to help provide worthy musical events to Trinity Church and the community. Ticket sales cover only a part of the cost of our concert series. If you are interested in becoming a Trinity Friend of Music, please contact Timothy Harrell, organist/choirmaster at 215-297-5135. Senior Choir is open to all parish members and interested community singers without audition. The choir of 30 singers is made up totally of volunteers, though quite a number of its members have had extensive training as choral singers and participate in multiple choral groups in the area. The choir sings a variety of musical styles ranging from medieval chant to 21st century anthems and spirituals. They also perform portions of G. F. Handel’s Messiah yearly with professional soloists and orchestra. Rehearsals are on Thursday evenings from 7:30-9:00 PM. Chamber Choir is an auditioned group that specializes in a cappella anthems and motets. Rehearsals are Thursday evenings from 6:50-7:30 PM. Saint Cecilia Choir is for children in grades K-8. This choir is an excellent way for children to learn the fundamentals of reading music and to develop their singing voices. In addition to learning anthems especially suited for younger voices, considerable time is spent learning how to navigate our way through the rich treasure that is our hymnal. Rehearsals are on Wednesday evenings from 5:00-5:45 PM. The pipe organ is one of the foundations of our Episcopal services. From prelude to postlude, the pipe organ leads the liturgy. Martin Pasi of Pasi Organ Builders designed and built the Opus 17 especially for the Trinity space. Everything from casting the pipes to building the casework to carving the bone for the keys, was custom manufactured in Mr. Pasi's shop. Our mission is to help youth and families grow spiritually. We offer them the opportunity to have a transforming encounter with Jesus Christ so that they can grow in their relationship with him and share Jesus’ love in their everyday lives. The sacred trust of sharing the religious education and spiritual nurturing of our children is a cornerstone of Trinity. Our Church School curricula shares the biblical story of faith and the presence of God's love in our lives and provides special events that give opportunities for our children to live out a service of love. The story of our faith, the presence of the Holy Spirit, and our love of neighbors are all connected in powerful ways and experienced by Trinity's young people. Safe play is offered in the nursery for our youngest children and Church School for grades PreK-8th at 9:30 AM until the Passing of the Peace at which time children join their families in the sanctuary. Our young adults increasingly find themselves away from the network of their home community, whether away at college, studying abroad, or having graduated and living in other cities. Even those who remain nearby express a desire to get together from time to time. We understand how busy your lives are: exploring new interests, making new friends and discovering your expanding horizons. We want you to know that we are still here for you. Trinity Day School was established in 1959. It exists to create a learning environment based on Christian values, celebrating the uniqueness of each child, and as a daily outreach of the church. Community defines the welcoming nature of christianity. As Jesus said, "For where two or three are gathered in my name, I am there among them". The world’s great music speaks to us through dedicated musicians who, through their tireless performances, reach the depth of our souls. This brochure is your invitation to experience this great music by world class musicians at Trinity, which has become the “happening place” in Bucks County as a musical performance venue. Our new 2017-18 season features organ, instrumental, and choral music with a total of 16 concerts, some of which are sponsored solely through the Friends of Music, a patrons system that helps underwrite a portion of the concerts. For complete information about our upcoming concerts, please click here. 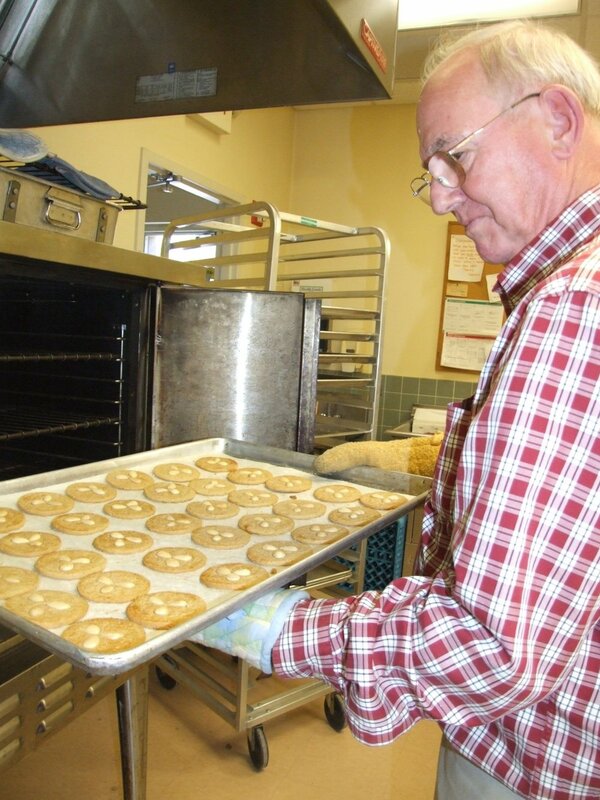 Cookie Bake has been a tradition of Trinity Episcopal Church for over fifty years. This event has been featured in SAVEUR Magazine and has developed quite a reputation in the community. 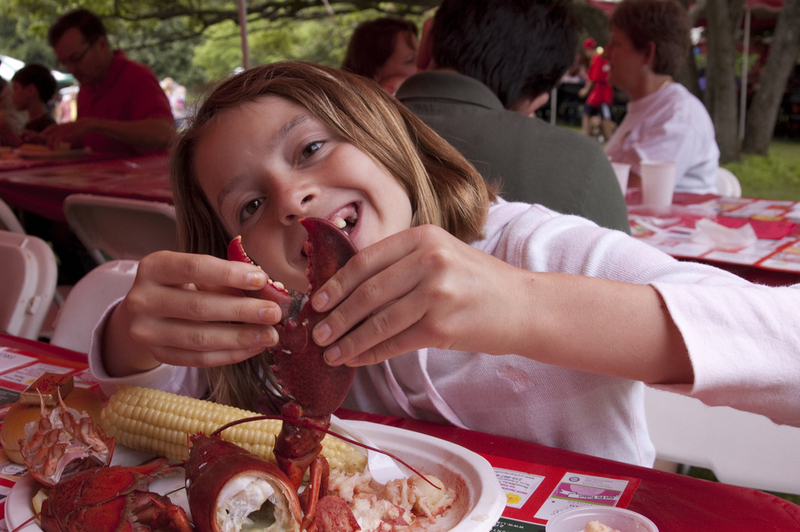 Our annual Lobsterfest has grown into a community event drawing nearly 1,000 people to Trinity's campus. This dinner of fresh Maine lobsters, corn, clam chowder, and coleslaw is a true festival and celebration of our young people with the addition of live bands, fun activities for young children and silent auction items that fill tents full. The funds raised at this activity help to offset the cost of our outreach project, Mission Philadelphia. Trinity's cemetery is a lovely country burial ground, tastefully planted yet attractive in its simplicity. Trinity Church owns, cares for and manages the four acre site. This is a non-commercial cemetery and is open to church members and their extended families - all faiths welcome. Please contact the church office for more information at 215-297-5135. Whether you are a member of Trinity Episcopal Church or are considering rental for your ceremony, we want to help make this day special, memorable and joyful. Planning a wedding is a lot of work but committing the rest of your life to your betrothed also requires planning, counseling and preparation for one of the most important covenants of your life. The members and staff of Trinity Church welcome you and will work with you to make your special day one that you will always remember. Please contact the church office for more information at 215-297-5135. Alcoholics Anonymous® (AA) is a fellowship of men and women who share their experience, strength and hope with each other that they may solve their common problem and help others to recover from alcoholism. The only requirement for membership is a desire to stop drinking. We are blessed and very proud to offer a space for AA Meetings at Trinity. Meetings are held every on Friday evenings at 6:30 PM.